This presentation from 2015 by Alicia Valero of the Spanish Research Centre for Energy Resources and Consumption (CIRCE, Zaragoza) is on critical materials, minerals scarcity, recycling and a “thermodynamic cradle-to-cradle approach”. 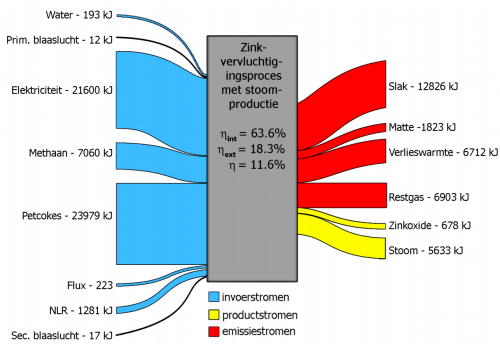 It features two Sankey-style diagrams depicting the mineral balance of the European Union (UE). 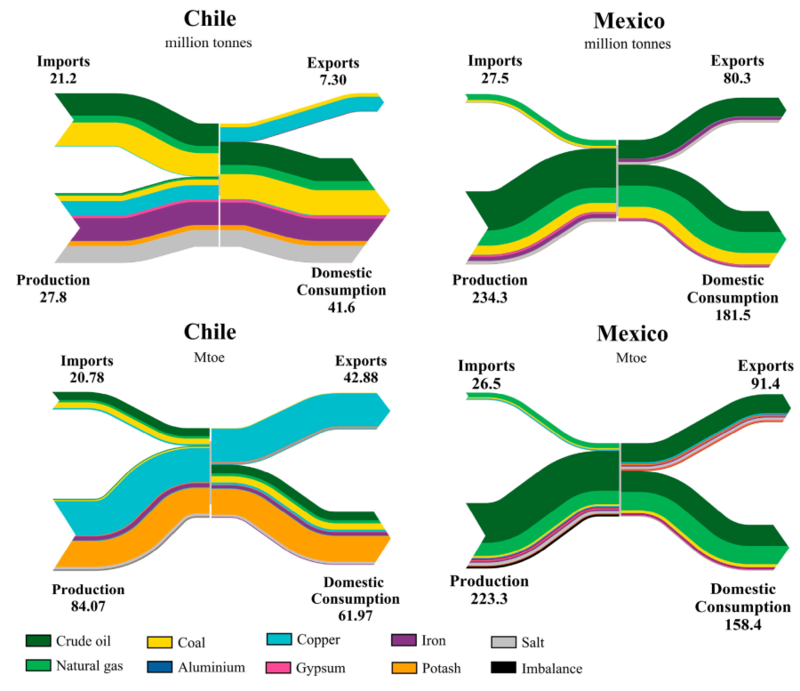 This first one is a Sankey diagram for the mineral balance without fossil fuels (‘Diagrama de Sankey para el balance mineral de la UE sin combustibles fósiles’). 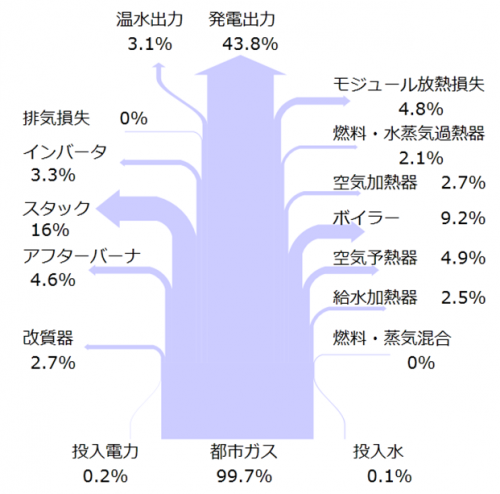 Data is for the year 2011, Flows are shown in tons. Iron and limestone dominate the picture with 77% of the input. Limestone is produced (extracted) mainly within Europe, while iron is mostly imported. 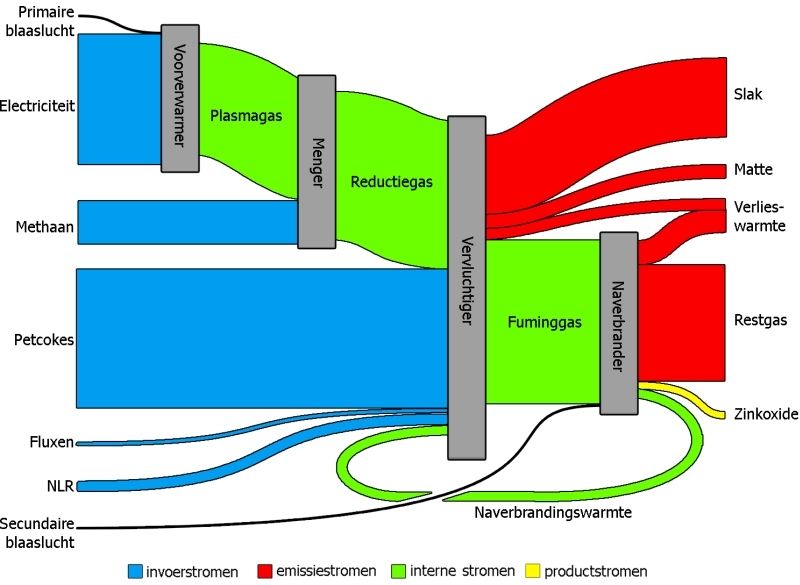 The second Sankey diagram is a scarcity diagram (‘Diagrama de rareza para el balance mineral de la UE sin combustibles fósiles’) and takes into account thermodynamic exergy to obtain (mine) the minerals. Although it depicts aluminium, gold, ion, nickel and the likes, flows are shown in an en(x)ergy unit (Mtoe). Iron and limestone which seemed to be the most important mass-wise only constitute some 10% of the input. Aluminium and potash seem to be much more difficult to produce. Rare earth elements (REE) are not included in this diagram. The author points out that it is important to not only look at materials from a mass perspective. Looking at materials availability taking into account thermodynamic exergy paints a different picture of the real cost and scarcity. For those interested, please check out the presentation (in Spanish) here. From a July 2013 article titled ‘Energy and exergy analyses of a Zero emission coal system’ by Linbao Yan, Boshu He, Xiaohui Pei, and Chaojun Wang of Beijing Jiaotong University, available at Researchgate. This Sankey diagram is for “the exergy flow of the improved Z[ero] E[mission] C[oal] system at benchmark condition”. All flows are in kJ. The individual process steps if the system are only labeled with acronyms. They are explained in the article: GF is gasifier, CL is cleaner, RF is a reformer, and CH is a CO2 heater. The article also features the energy flow Sankey diagram. I have presented several examples of Sankey diagrams in the field of maritime technology before (see here). The data for this Sankey diagrams in the annex of the paper and shows that flows are in TJ for an operation period of 11 months. Blue, yellow and green arrows depict energy use, while the orange arrows reveal heat losses to the environment. The study continues with an exergy analysis of the ship, since it reveals more on the system inefficiencies. The exergy analysis is shown as a Grassmann diagram in the paper. This is structured similarly to the Sankey diagram above, but has dark orange arrows representing the exergy destruction. This is mainly from the Diesel engines and the oil-fired boilers. I recommend this paper not only to naval engineers, but to everyone who wishes to get a better understanding of exergy and Grassmann diagrams. Can we consider Grassman diagrams a subset of Sankey diagrams? What do you reckon? 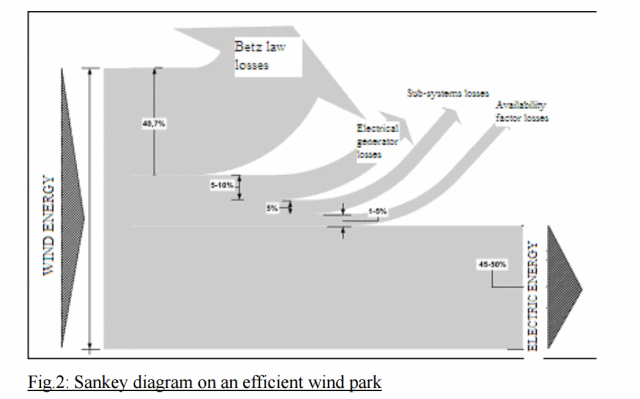 The scientific paper ‘A Sankey Framework for Energy and Exergy Flows’ by Kamalakannan Soundararajan, Hiang Kwee Ho, Bin Su (Energy Studies Institute, National University of Singapore) features these two Sankey diagrams. 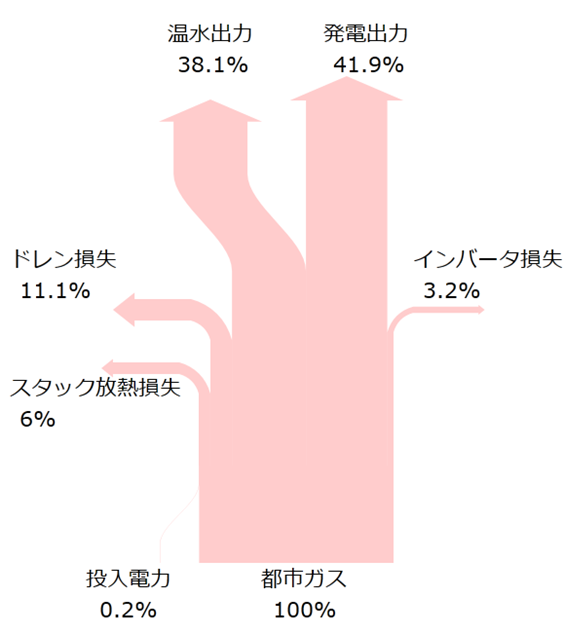 Found the Sankey diagram below in an article on ‘Exergetic efficiency analysis of pyrometallurgical processes’. It is from a master thesis by Bart Klaasen (PDF file), that contains several Sankey diagrams. The main diagram is titled ‘Exergetic Sankey diagram for a zinc recycling process’. Input streams are in blue, emission streams are in red. Internal flows are colored green, while yellow represents the actual product. In contrast to Sankey diagrams that represent energy flows, the input output flows into a process node don’t have to have the same magnitude. Exergy is synonymously called “available energy”. So it is understandable that the exergy represented by the flow magnitude at the output of the process is less than the one of the flows on the input side. NB: Bart’s article reminded me of some bookmarks to exergy diagrams I have, will try to post these in the near future too.